For weeks two coworkers and I have discussed and planned on going to a free workout on Mondays at a Nike store in DC. We went today for the first time. I am in fairly good shape; I ran a half marathon last month. This was a rough slog though. At one point the trainer wanted us to hold ourself up in a low push up position for 20 seconds like 4 times in a row. No matter the weird facial contortions I made, I couldn't do it. It was especially hard because we ate a filling dinner about an hour before the workout. No bueno. If I did that workout everyday and didn't eat the mountain of cookies I ate yesterday, I would be in really good shape. I always have good intentions of reducing by sugar consumption, but it has yet to happen. 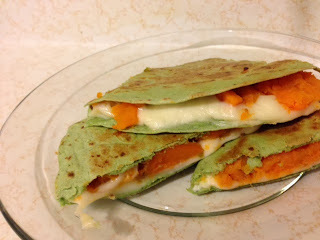 I like to think that these are "healthy" quesadillas and counteract the pound of sugar that is still flowing through my veins. 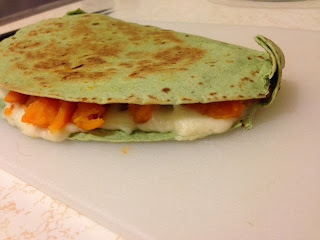 I began by layering mozzarella cheese on half of a tortilla. 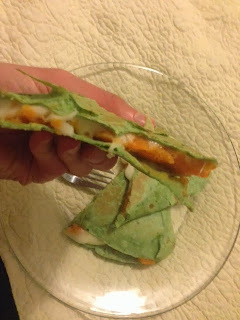 I didn't intend to use Halloween colors in the middle of December, but the spinach quesadillas were on sale. 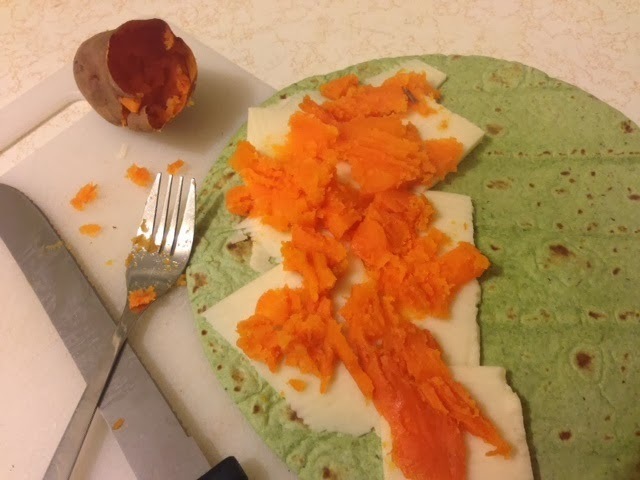 I layered on some smashed, pre-baked sweet potato. I salted the sweet potatoes as well. 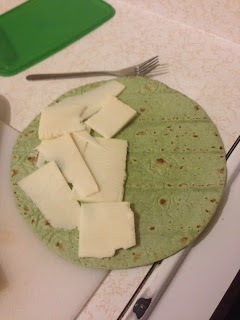 I toasted the tortilla and melted the cheese on medium heat. Yum! I lived in Texas for a year and a half and once ate potato and cheese tacos while there. 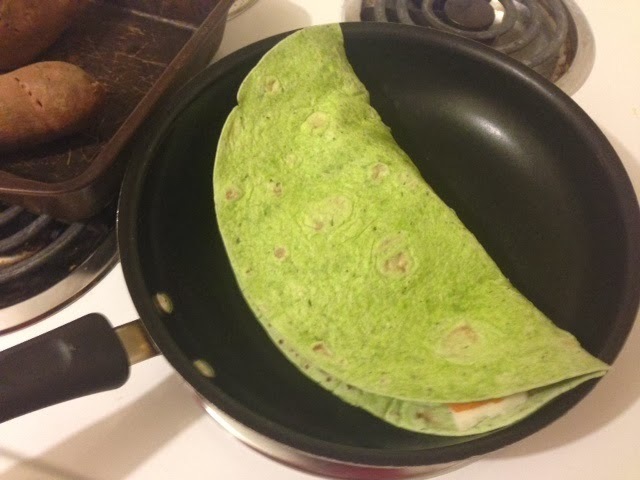 This quesadilla remind me of those tacos. 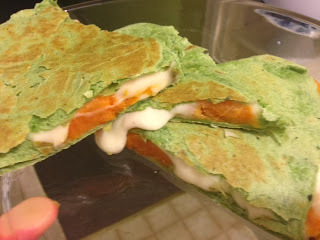 The cheese and potatoes meld into one gooey, oozy layer which is encased in a crunchy shell.